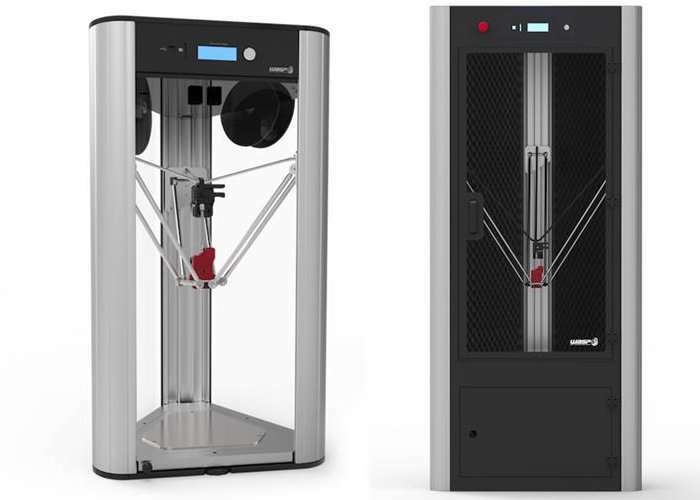 WASP has this week unveiled three new additions to its range of 3D printers with the official launch of the DeltaWASP 2040 Turbo2 3D printer, DeltaWASP 4070 Industrial 3D printer and larger DeltaWASP 3MT Industrial 3D printer. Unfortunately at the current time the new 3D printers are not available through the company’s online store and no details have been announced as to the pricing structure of each. – DeltaWASP 2040 Turbo2, the DeltaWASP 4070 Industrial, and the DeltaWASP 3MT Industrial. The first, the DeltaWASP 2040 Turbo2, is described by WASP as “a revised and improved version” of the standard DeltaWASP 2040 Turbo, equipped with a new integrated 32-bit board that has been optimized for industrial tasks. – The DeltaWASP 4070 Industrial, the first of these two 3D printers, is a full-metal machine designed for industrial use. The 3D printer uses a heated enclosure with an advanced ventilation system, preventing both heat and noise from escaping. According to WASP—and presumably because of its capacity for high temperatures—it can be used to print “technical” materials.